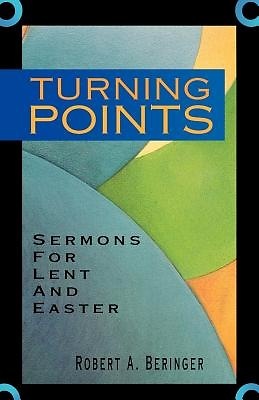 In these nine sermons preachers will find brilliant use of story to illustrate the Lenten message. Beringer focuses on different journeys throughout the New Testament and examines the "turning points" recorded there. As is stated in the introduction, our Christian faith is a pilgrim faith. The author shows in modern parables how we are called by Christ to be a people on the move with him through time to eternity and the kingdom of God. He shows that we are travelers on the road of faith, never quite arriving at our destination, but always growing and being transformed by each encounter with the living God. Following each sermon is a set of discussion questions based on the preceding sermon and the scripture on which the sermon is based. These questions can be copied into the bulletin to help the congregation follow the sermon, used as small group discussion starters, distributed to worshipers as they leave church or be printed in weekly newsletters to reinforce the message given the previous Sunday. Robert Beringer, along with serving as pastor of First Presbyterian Church in Metuchen, New Jersey, is a Visiting Lecturer in Ministry at Princeton Theological Seminary. He holds degrees from Cornell and Princeton Universities. Previous books by Beringer include "The Easter People"; "Something's Coming, Something Great"; and "Batteries Not Included."